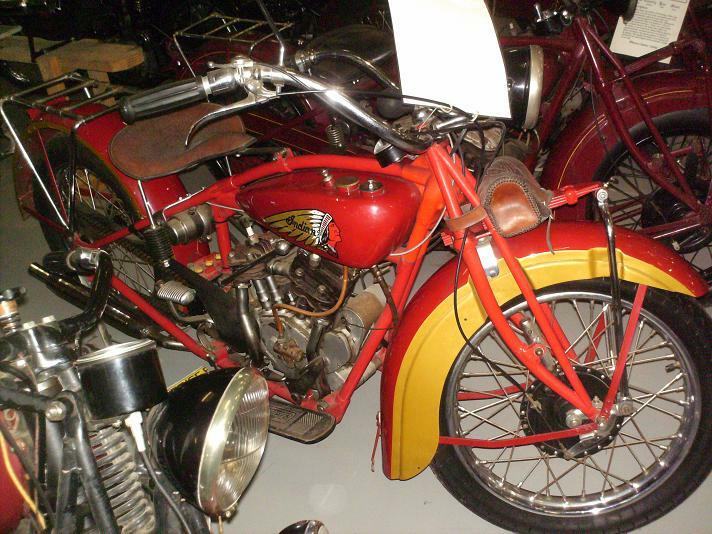 This Indian Scout was one of the famous range of motorcycles made in the USA between 1901 and the early 1950's. This is a 600cc machine, a V twin sidevalve. Note that it does not have any rear suspension. This is one of the 101 series. The 101 refers to the guaranteed minimum speed of 101 miles per hour and was used for quite a number of years and for different models.